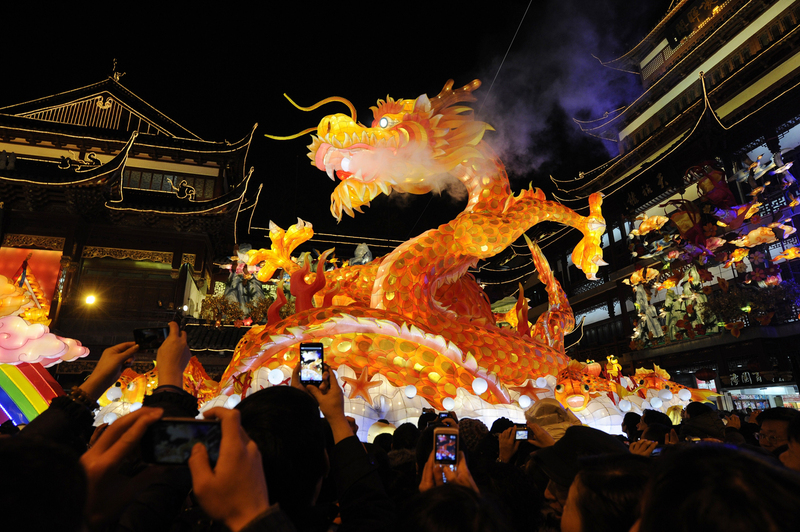 Celebrating New Year of the Dragon in China! 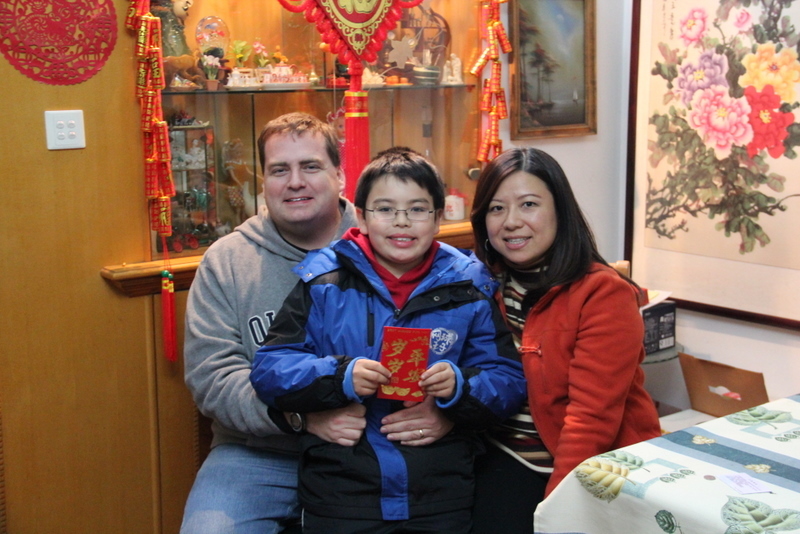 My wife Jing, son, and I spent the 2012 Chinese New Year with Jing’s family in Shanghai, China. It was a special New Year’s for us, not only because it ushered in the auspicious Year of the Dragon but also because it marked a first for our family—the first time we had been together with Jing’s family in China for the holiday. My wife had not spent New Year’s with her family in almost two decades, and it would be the first time my son and I joined them. The happy hearts and big smiles of my in-laws when we arrived January 21 foretold a joyous reunion. 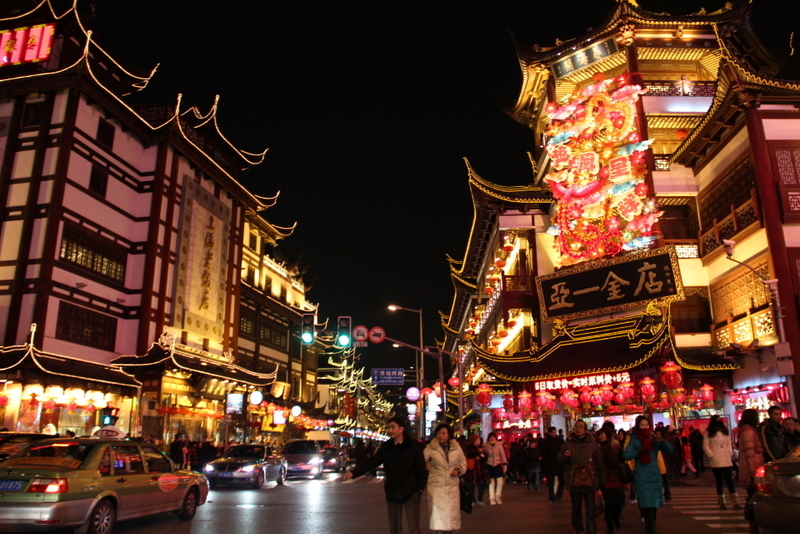 We arrived in Shanghai the day before New Year’s Eve. 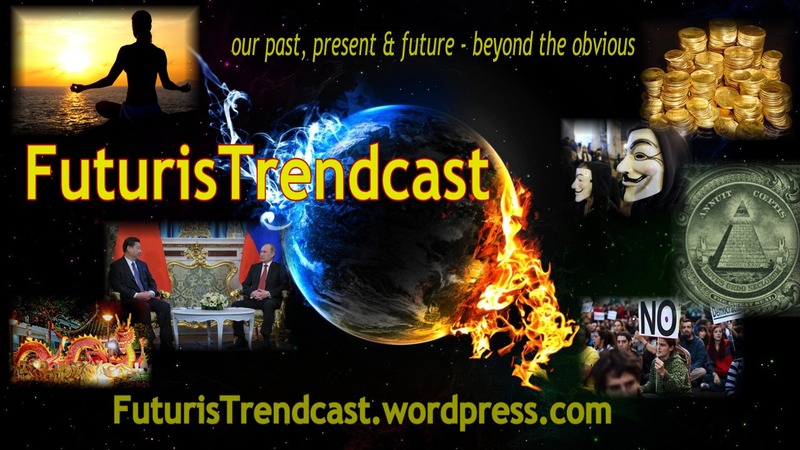 We spent some time January 22 getting ready for the evening’s festivities, which promised to be the grandest of a week’s worth of New Year’s celebrations. 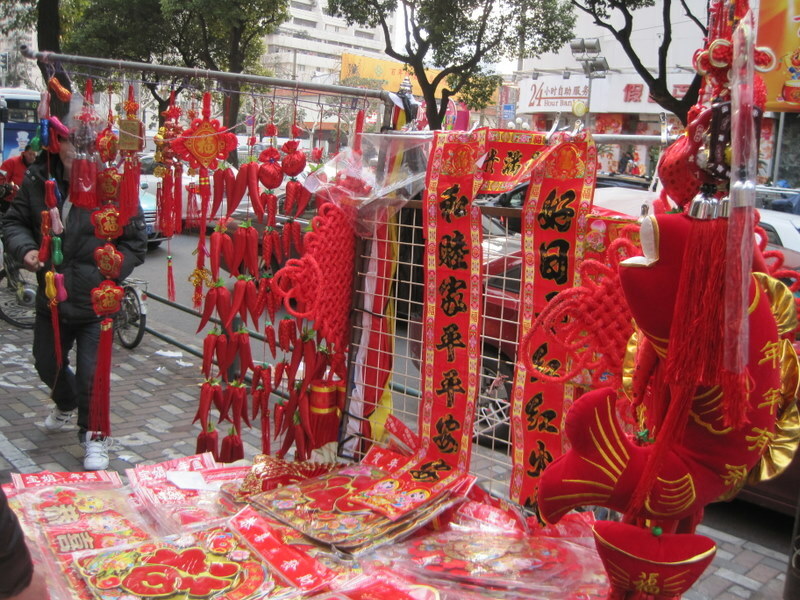 We went shopping and bought fireworks and red and gold holiday decorations, including the “Come Luck” (fu) symbol, to enhance the festive atmosphere. The weather hovered below freezing in the urban confines of Shanghai, where concrete buildings with ceramic tile façades sucked any vestiges of heat from the air, but the holiday buzz warmed our souls. We spent New Year Eve’s with family at my in-law’s home. Her father, mother, sister, brother-in-law, and nephew joined us. 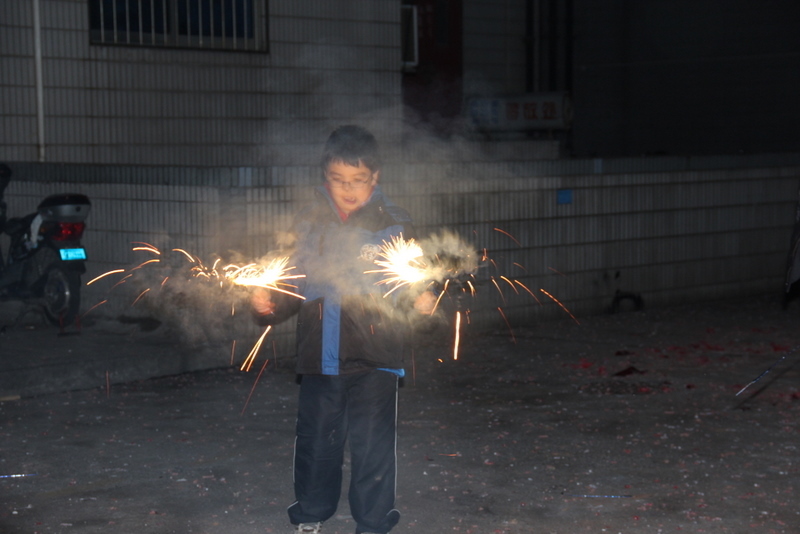 When we arrived, my brother-in-law, Song, took us outside to blow off a string of firecrackers and light up some sparklers. My son and his cousin had a blast. My mother-in-law, Ma, prepared a cacophony of Chinese dishes that ranged from fish in sauce for Song to soy sauce meatballs for my son. The meal was delicious. 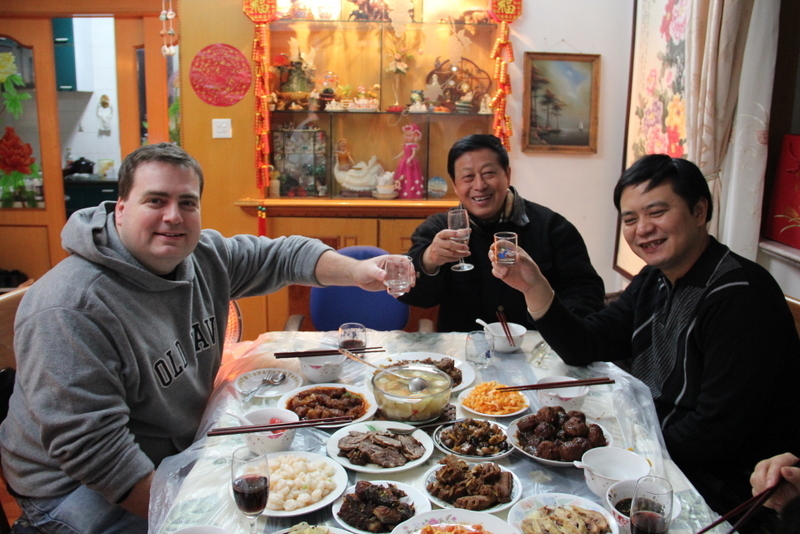 My father-in-law, Ba, Song, and I offered toasts with shots of Maotai baijiu, a 120-proof Chinese liquor, and wished each other and our families health, wealth, and love. The others sipped Changyu, a Chinese brand of red wine. After dinner, the family moved over to the couches to watch the annual New Year’s variety show broadcast by China Central Television (CCTV). 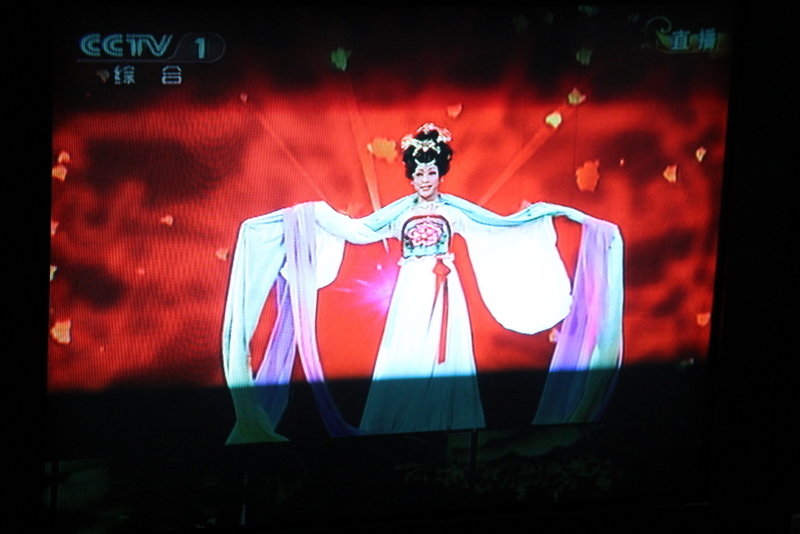 The glitzy show beloved by many Chinese featured over five hours of skits, songs, and other entertainment, a tried-and-true formula used for years. The quality of the production had undoubtedly improved and become more “hip” than it had been when my wife was young. An hour before midnight the fireworks started in earnest. We took a break from the TV show to give gifts of hong bao (red envelopes with money) to the children. The adults took turns sitting in chairs as my son and his cousin each bowed to us and politely asked for envelopes. My nephew recited a common Chinese New Year phrase, “恭禧發財, 紅包拿來?” (in pinyin, “gongxi fai cai, hong bao na lai”) roughly translated as “Wishing you a prosperous New Year. May I have my red envelope?” I enjoyed the ritual of the hong bao and thought that it trumped Christmas gift giving because the kids had to pay homage to their elders before getting their gifts (not to mention that it’s easier to give cash in an envelope than buy and wrap a gift). Just before midnight, Ba and Song ignited a long string of firecrackers outside the apartment that exploded with deafening pops, adding to the sound of the fireworks booming around us. 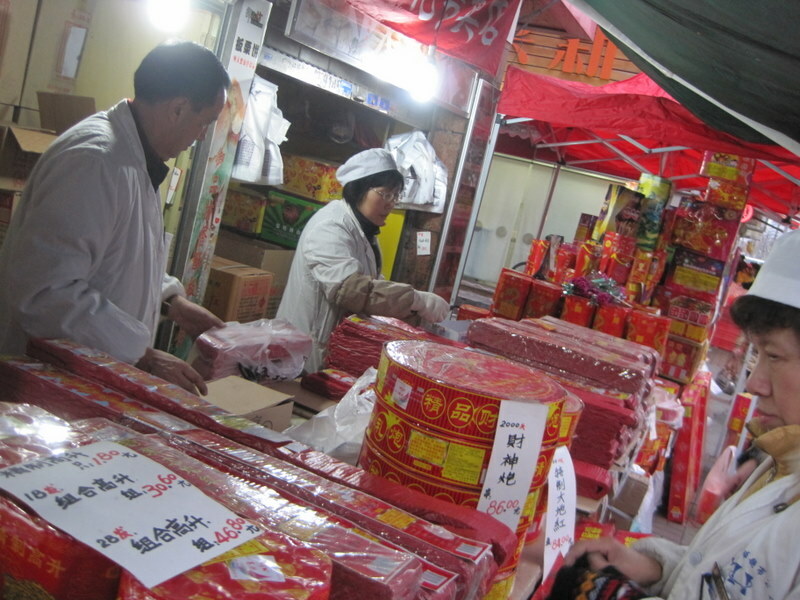 Thankfully, they did not blow off the remaining packages of firecrackers until the fifth day of the Chinese New Year. At midnight, we looked out the bay window of my in-laws’ home and watched the most amazing fireworks display I’ve ever seen. 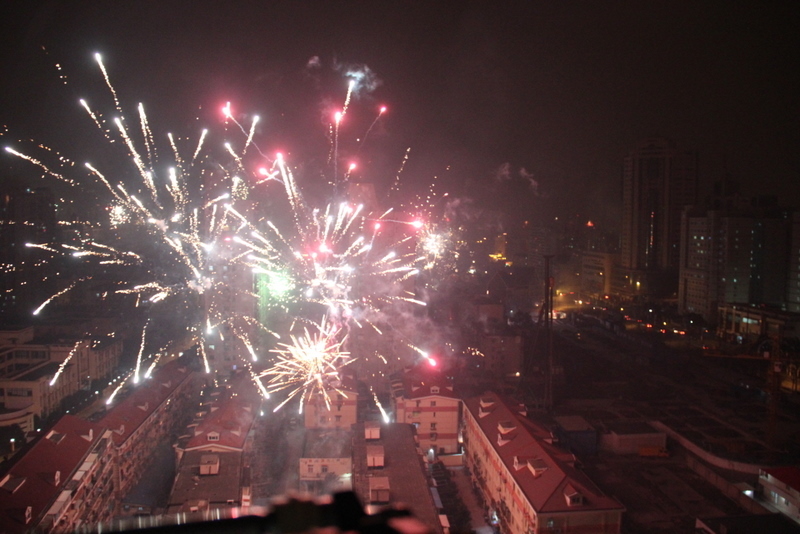 Fireworks were exploding everywhere—on rooftops, out the windows of high-rise buildings, and on the ground in the streets and alleys between buildings—everywhere. It was a beautiful 360-degree, three-dimensional light show unlike any I’d seen in the West. We heard the sounds of pop, pop, pop in all directions! Considering that the Chinese invented gunpowder and fireworks, it’s understandable why they went over the top using pyrotechnics to ring in the New Year. The din of the fireworks died down around 12:30 in the morning. We finally left the in-laws at 1 a.m. and headed back to where we were staying, picking our way carefully in the streets to avoid being hit by stray fireworks. 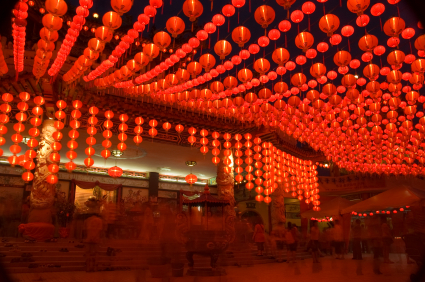 On New Year’s Day, after we had recuperated from the previous night’s festivities, we visited the Temple of the Town God (Chunghuamiao) to see the lighting of the lanterns that adorned the decorated floats in a pond near the temple. Dedicated to the protector spirits that guard the city, the temple itself lay in the middle of one of Shanghai’s most popular commercial districts. 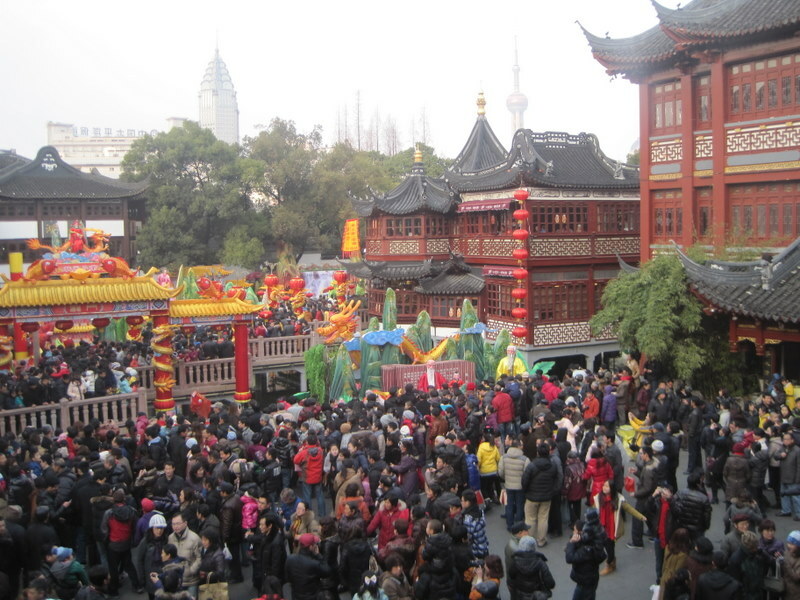 Thousands of visitors, mostly Chinese, had the same idea as we and converged on this popular area to take in the holiday atmosphere. 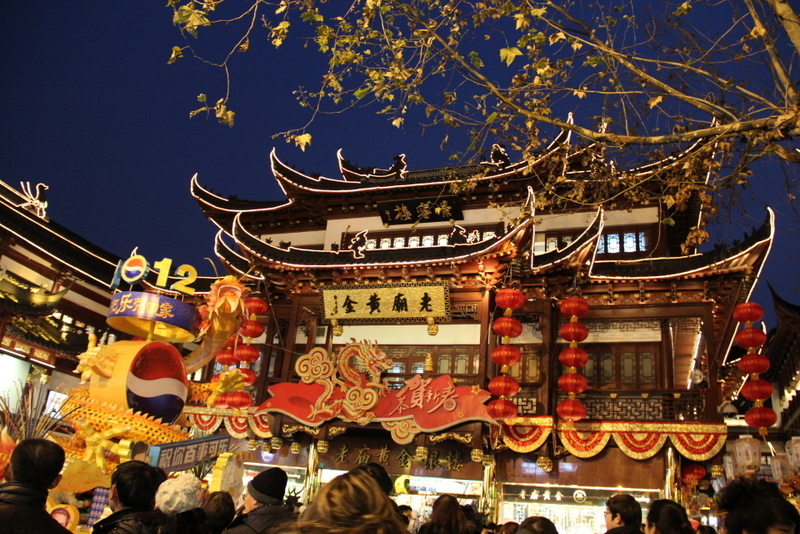 The strings of lights, red lanterns with gold tassels, and traditional Chinese architecture at Chunghuamiao were simply spectacular, but the place was numbingly overcrowded. I had never seen so many people packed into one place — even considering that China had more than 1.2 billion people! The crowds put a damper on my mood. 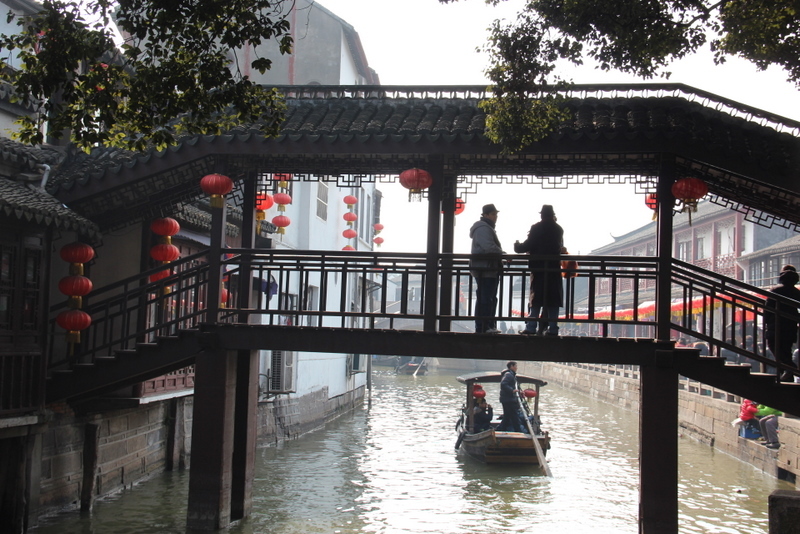 On January 24, we visited my wife’s childhood home in northeast Shanghai. This fell in line with the Chinese tradition that a married daughter—my wife—spend time with her family on the second day of the New Year. 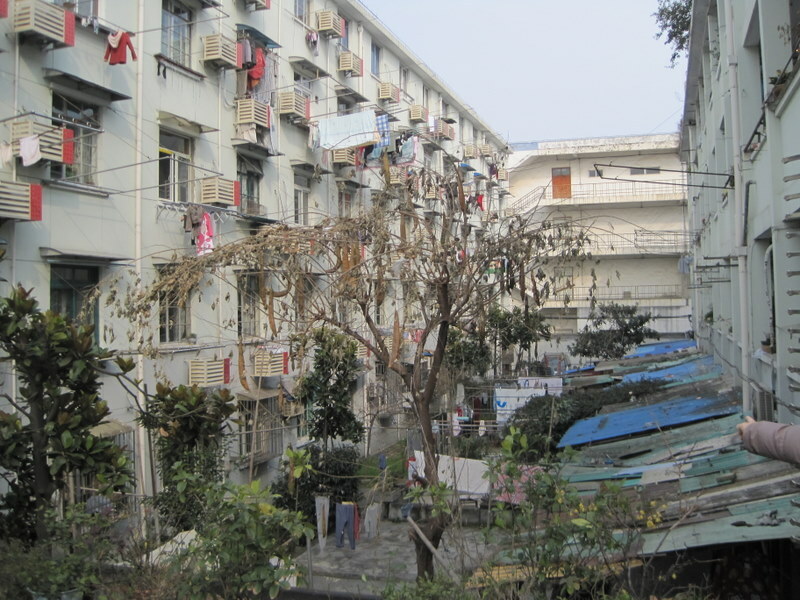 We arrived at the low-rise apartment, which still looked much the same as it did when my wife grew up there, and walked around. Jing and her sister reminisced about growing up there, showing us where they used to play and some of the fun things they liked to do as children. My young nephew and son weren’t so interested in the family history but enjoyed Yangpu Park, one of Shanghai’s larger parks located across the street from my wife’s former home. The boys had fun doing on some amusement rides and kiddie activities. 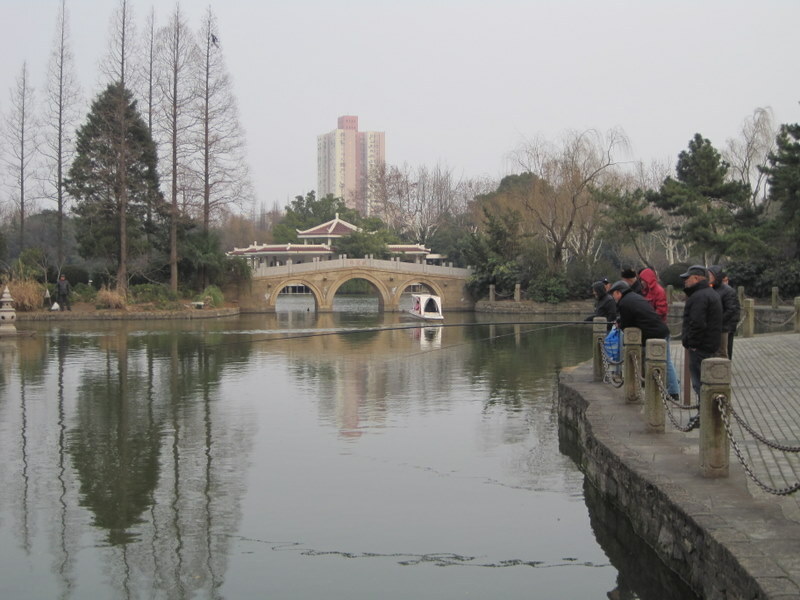 Jing and her sister revisited a Chinese pavilion near a pond, a picturesque stone bridge, and other places in the park etched in their memories. I enjoyed watching couples ballroom dancing in the frigid cold. 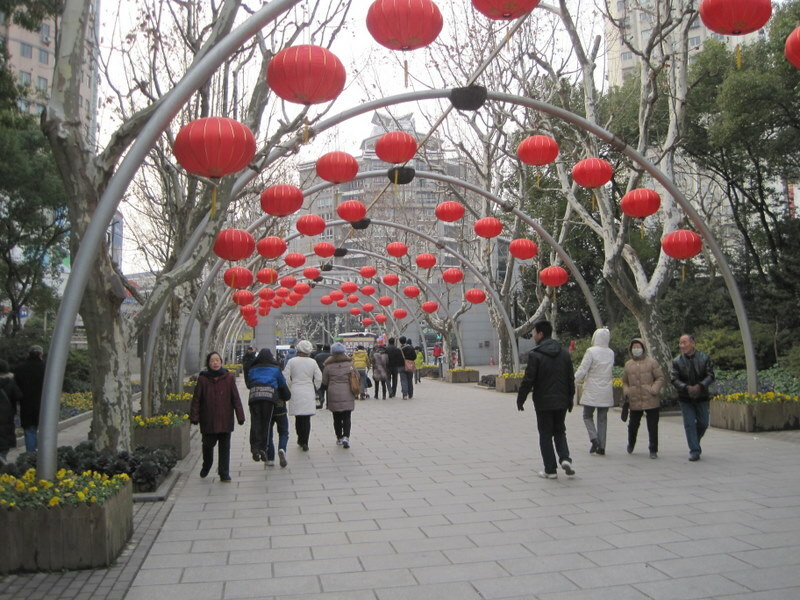 Spending time with family and friends is an important aspect of Chinese New Year and a major reason why we visited Shanghai during winter. We spent the third day of the New Year, January 25, with my wife’s uncle, Xiao Shushu, his wife, and relatives Erhong Jiujiu and his wife. We gathered around the table at my in-laws’ home for another delicious Chinese spread prepared by Ma and listened to the relatives talk about the past. They told touching stories of how difficult it had been for them in the old days. Life was better now. 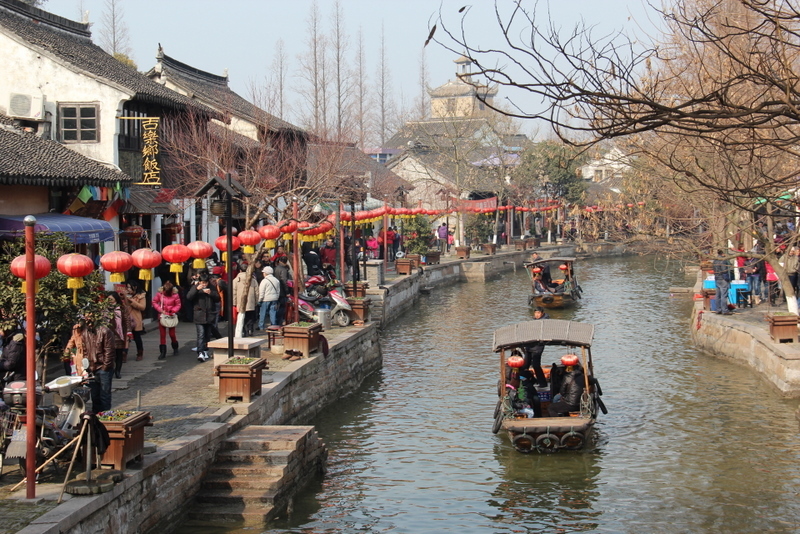 On the fourth day of the New Year, January 26, we went with family to the self-proclaimed “Venice of Shanghai,” Zhujiajiao, a beautiful village not far from the city. 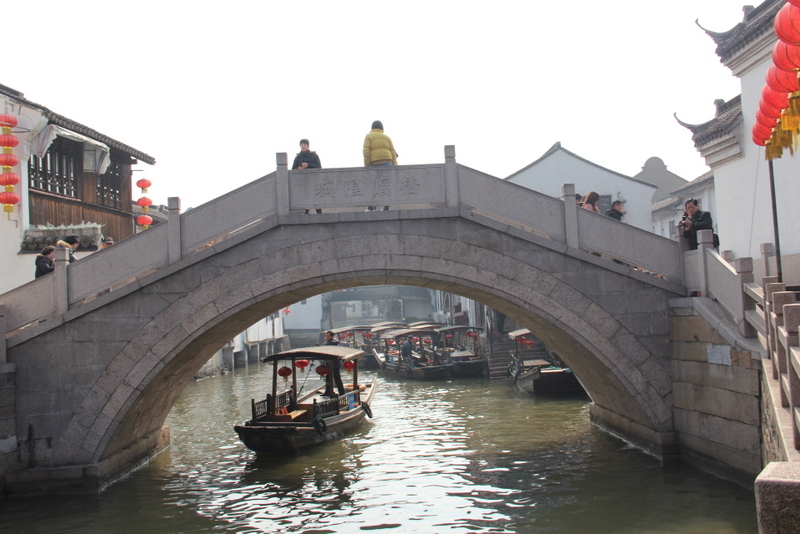 Founded over 1,700 years ago, the village was a smorgasbord of traditional Chinese architecture, including a Buddhist temple and a Temple of the Town God, canals and waterways, stone arch bridges, and wooden oar-powered tour boats. 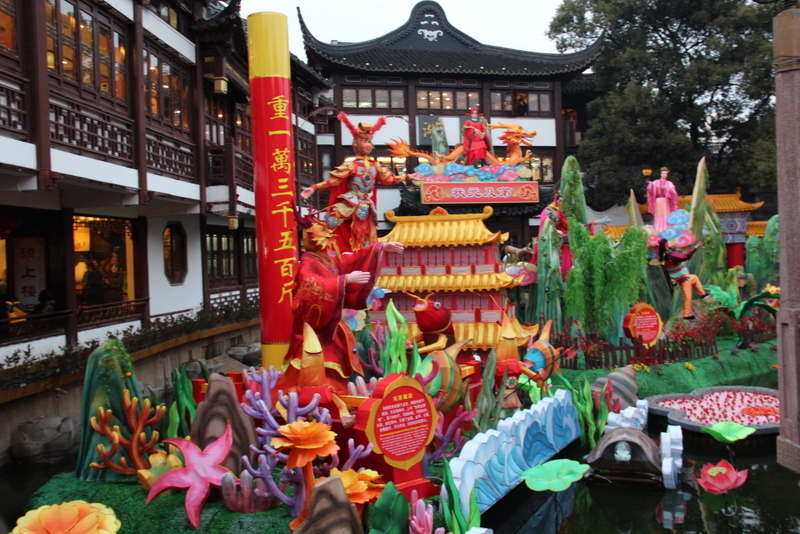 Dragon boats sailed in the canals and red lanterns festooned the streets. While we enjoyed the festive atmosphere, the crowds were horrific. We thought we were going to be crushed in an alleyway but eventually wiggled our way out of town. 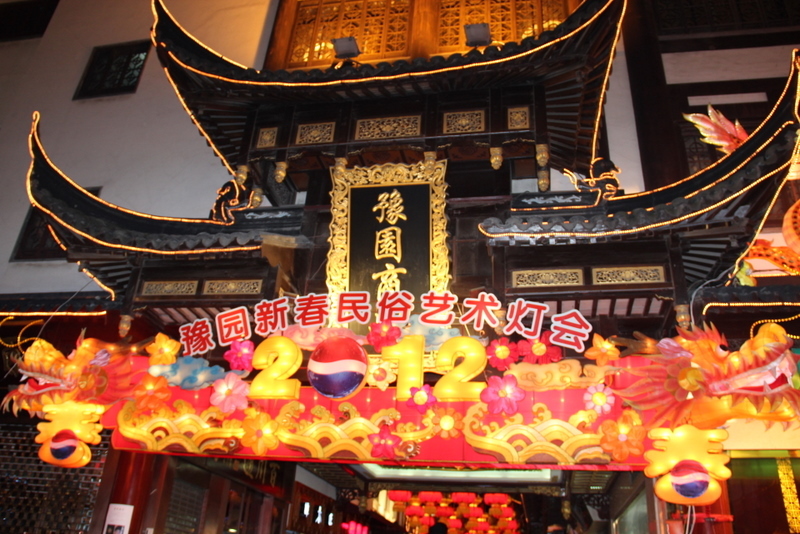 Following our tour of Zhujiajiao, we met some cousins for a meal at the Xibei Oat Noodle Restaurant in Shanghai. 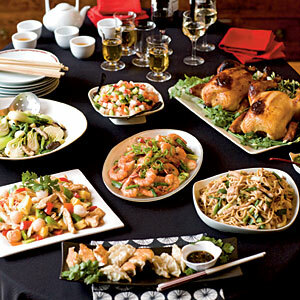 Influenced by flavors from the Middle East brought to China via the Silk Road, the northeastern Chinese cuisine served was simply delectable. 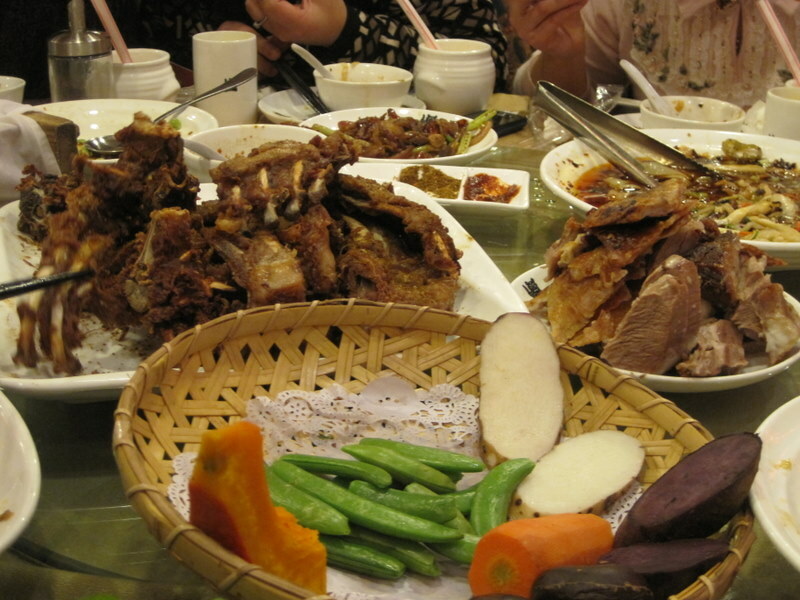 My brother-in-law noted that I enjoyed the roasted lamb, green salad, and pita bread more than the sweeter and seafood-laden Chinese cuisine preferred by Shanghainese. After dinner, we went to the cousins’ home, where we joined them for a traditional Chinese tea ceremony. The oolong and barley teas were soothing to the tongue and light on the stomach. 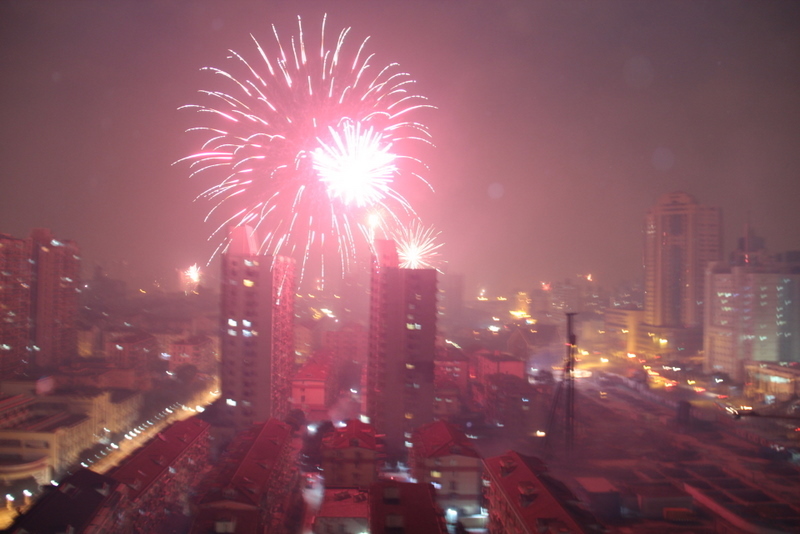 On the evening of the fifth day of the Chinese New Year, January 27, the fireworks started again in earnest as the residents of Shanghai welcomed the arrival of the god of wealth and success, Guan Yu. 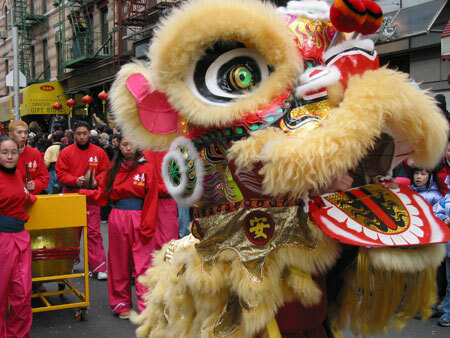 Some believed that making noise would attract his attention and bring them prosperity, so the fireworks continued unabated for the next 24 hours. I did not sleep well that night, tossing and turning as the noise makers rattled outside our window all night long. 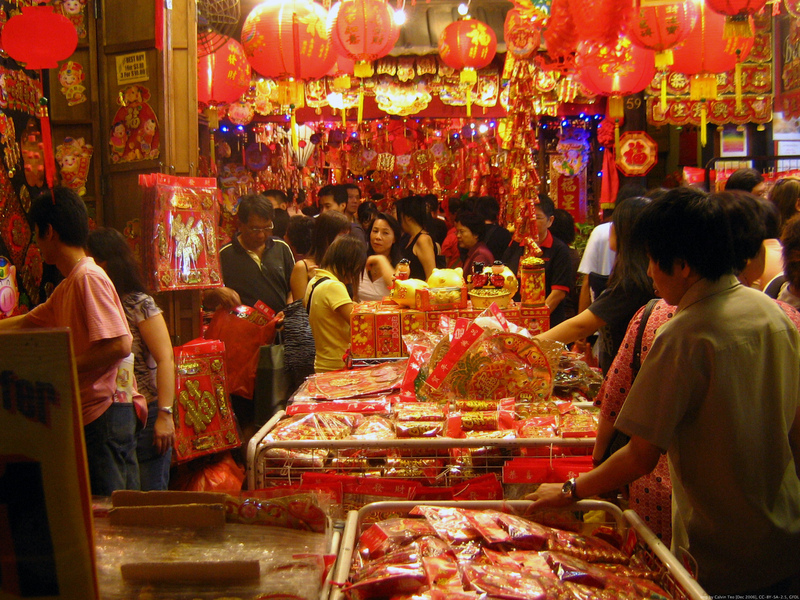 We concluded our seventh and final day of the Chinese New Year shopping and spending time with family. My wife bought some nice New Year’s decorations for our home. In the evening, my brother-in-law took us for a family meal at a Korean restaurant that he thought would satisfy my western tastes. The Korean bulgogi, kimchi, and other dishes from the Land of the Morning Calm hit the spot. Jing’s family joined us for one more meal before we headed home. 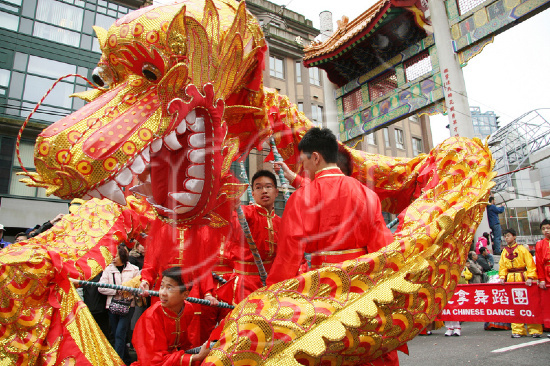 We returned to Bangkok on January 28 exhausted from a week’s worth of celebrating the Year of the Dragon. The intensity and excitement of the occasion was unforgettable. 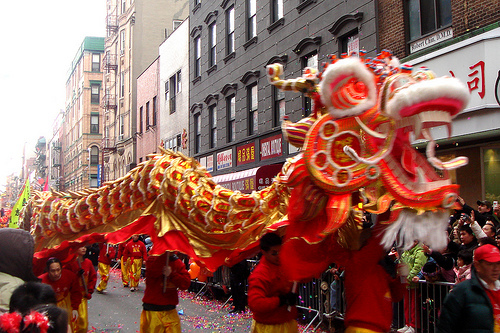 Through the family gatherings, traditions, foods, fireworks, and trappings of the season, I glimpsed the heart and soul of the Chinese people. The experience was so profound that I spent the next couple of weeks at home in peace and quiet contemplating what it all meant. I will never fully understand this cultural event, but it is now a part of me. M.G. Edwards is a writer of books and stories in the mystery, thriller and science fiction-fantasy genres. He also writes travel adventures. He recently published a collection of short stories called Real Dreams: Thirty Years of Short Stories available as an ebook and in print on Amazon.com. His upcoming travel novel, Kilimanjaro: One Man’s Quest to Go Over the Hill, will be available in March 2012. He lives in Bangkok, Thailand with his wife Jing and son Alex. For more books or stories by M.G. Edwards, visit his web site at www.mgedwards.com or his blog, World Adventurers. Contact him at me@mgedwards.com, on Facebook, or @m_g_edwards on Twitter.